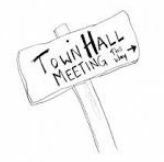 Town Hall Meeting will is happening Monday 7/22 at 8 pm Henry Hudson School. Current issues will be addressed. Previous Highlands Game: What size are these shrimp? For everybody so concerned about the Mayor’s house – here’s your chance to ask the man himself! You can ask……………….but since you have to write your question on an index card, and since he sorts through them and only answers questions he wants to………… good luck with that! Selective question answering, once again. Hey Jen – Any notables? We missed the meeting so couldn’t record it – crazy drunk fool smash a car in front of our house when I got home yesterday so we had to wait for the police. Probably the biggest topic (IMHO) was the “transit village” designation and the redevelopment of the 1/2 square mile radius. That covers down to about Cedar Street (Ptak) but when asked about the new high-rise, that’s not included. I’m not the best at judging distance but I would think on a map that Shadow Lawn is less than 1/2 mile as the crow flies. Nolan doesn’t want the town hall to go back to where it was. Looking into building next to the fire department as that ground is a bit higher than Bay Ave. There is a grant program coming for landlords, but as usual if you did work already you won’t qualify. Tim Hill will have better info on when the rec center will reopen at the next council meeting. The Robin Hood foundation is working through the grant applications. They have 6 houses close to being ready to go. They’ll have their 3rd bid today & then the home owner gets to choose the contractor. That’s just a summary of the major topics. Oops…the 1/2 square mile is from the ferry. The one thing that stuck out with me was how adamant the mayor was about rebuilding the boro hall (+ First Aid) elsewhere. I get the idea behind it — hell, I’d prefer not to flood again — but it seems like the town itself being against rebuilding on Bay Ave is a huge red flag to any businesses that might want to be there. It also adds another big vacant hole to Bay Ave, when we could really use the frontage to be occupied. Would it not be possible to put boro hall on stilts too, with parking for the police cars and residents underneath? I also find it strange that they’ve managed to do nothing about vacant/abandoned/moldy/overgrown houses and lots. I’m not sure I followed the conversation about why there was a group who did this for Union Beach, but for some reason, we didn’t want them here, and now they won’t return our calls. It would seem that there should be some way of at least mowing some of these lawns. The mosquitos are fierce this year, and the raccoons are big and healthy. The argument that they don’t want to get sued really sounds bogus to me. The good news, though, is that we did get some funding to help with taxes. It’s part of the program where theoretically we have to pay it back, but unless we exhibit blatant misuse (here? hahaha), these things are generally forgiven after 10 years. The Transit Village thing is interesting, but I kind of have a feeling that they’re stretching with this. It’s not like there’s a whole lot at that end of town that can be redeveloped (and they emphasized it would not be eminent domained, nor would the zoning change) — the ex-Oyster? Doris and Ed’s? Havana? Paradise Park? — and we do not have the road infrastructure to handle that many more cars with only one way in/out. Maybe this might get Bayshore Drive opened up again? Or maybe some kind of trolley along the HHudson trail once it opens again? It is also supposed to make a town less dependent on cars to get around. Unless we get some serious investment in usable retail (fresh vegetables and fruit, PLEASE! ), not just boutique crap, this doesn’t make the town any more walkable, and possibly less if we have more cars coming into town because of the Transit Village. My usual overly cynical self is going to hold back on judging this as bad quite yet. My take on the group that cleaned up Union Beach is that they were out of state and didn’t do a good job of documenting where the trash went. They came to Highlands, the officials had some reservations, and the group took their offer off the table. As for the town hall site my first thought is to demo it and build a parking lot. They want the town to be walkable like Sea Bright which has a massive parking lot. We’ve got almost nothing in the way of municipal lots in that area now that the cops took over that one small lot on Shore. Of course then the town will claim that’s prime real estate and we need the ratables. It’s a catch-22 they can’t seem to climb out of. As for the transit village, they will say now that there is no need to change the zoning maps. However, when pushed they did admit that it is possible that in the future they could revisit the zoning and that anything can change. I’d love to have an indoor year-round farmers market in town. Think Reading Terminal Market on a smaller scale. Something to compliment our awesome fish market, coffee shop, and bakery. I don’t think I’d want to live between Doris & Eds and Popomora on the water side, because no matter what they say now, I can see the Pier Village possibilities in their eyes. What would be in the real spirit of the transit village would be to take better advantage of the Waterwitch/Bay intersection. There’s two big vacant/underdeveloped lots right there. Plus, it has the advantage of being closer to the rest of town, driving that synergy, and has much better access to 36. If took a walk around Shore and Bayside drive along with Popomora and if I lived there I would be truly frightened anytime there was heavy rainfall. All you have to do is look to see that hill is not in good enough shape to carry more weight. I wonder since Popomora is Monmouth county parkland have they weighed in on putting more weight on that hill as it will affect county owned land? Look I’m all for making a nicer town and getting ratables but not at the peril of others lives and property and that includes people living on hill. Waterwitch/Bay def needs help!! They say first impressions everything well driving down that hill to boarded up old rentals is our Welcome to the Highlands Business District sign! Oh and Waterwitch/Recreation was flooded from the storm sewers up and down block to Snug and Huddy. Instead of these grandiose plans why don’t they start fixing the issues at the core first like crappy old storm drains already!!! People just fixed their homes only to have to worry about flooding again. priorities,man!!! I would like to know more detail of the big shovel ready flood plan that is supposed to help with high tide/ full moon flooding cause unless that includes storm drains means nothing. I really don’t think there is the aptitude or will to do the right thing. Ill say it once……………ill say it again……………and Ill keep saying it…………. consolidating with another town, or being taken over by Middletown is the answer!!!! If you want a nice new borough hall. Get rid of the High School, and elementary school, which could happen by regionalizing/consolidating. Especially now, with so many residents gone and not coming back, why are we not sending our students to another district? You turn the elementary school into a new municipal complex, out of the flood zone, and can not only house Borough Hall, but the first Aid, police, become the new Rec center, etc etc etc. The would be room to spare!!! The rec center property, borough hall property etc. get sold and redeveloped. The same goes for the High School, which would make a great location for a company, or could be redeveloped for residences or just about any use. Virtually all of the towns problems would simply go away over night with this one……….simple………. solution………………..